Warning: The following story contains spoilers for Captain America: Civil War. If you haven't seen the film yet, bookmark this page and come back after you've seen the film. For the most part, the post credits scenes in the Marvel Cinematic Universe have been either fun little moments that lead to a future installment or a gag that caps off the adventure that we've just finished watching. But in some cases, like that of Black Panther's mid-credits appearance in Captain America: Civil War, the plot actually progresses and a character gets to be set up in a particularly awesome manner. Black Panther’s arc is one of our favorite things about the movie: He’s driven so powerfully by vengeance and he gets to a point at the end of the film where he realizes what that drive has done and is doing to other people and he’s able to set it down and move forward. This idea that he would offer refuge to Cap, this guy he’s been fighting the whole movie, and Bucky, this guy who he’s been trying to kill the whole movie … is just a really cool arc for him to go through and it’s inspiring. 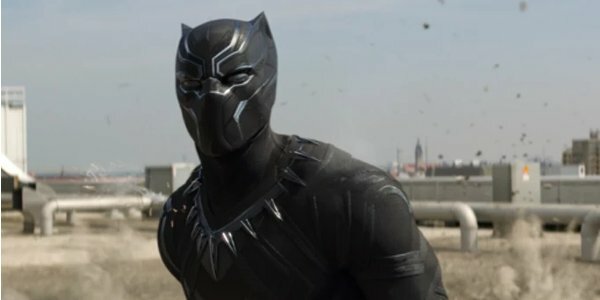 The storyline between the Black Panther protagonist and Captain America is one of the bigger arcs of Captain America: Civil War, so showing T'Challa's growth as a person is something that works two-fold, as it also informs the events of the future solo film for the Wakandan superhero. But what's also spectacular about the final moments where T'Challa swears a new-found allegiance to Team Cap is the fact that he not only forgives Bucky, but we also see him further accept his mantle as a hero in the world of the Marvel Cinematic Universe. Meaning that by the time that Ryan Coogler and Chadwick Boseman make Black Panther, the character will already have a firm foundation to backfill his origins around. With Black Panther being the last solo film released before The Avengers: Infinity War – Part 1, there's a possibility that Tony Stark and the rest of his remaining Avengers team might find Bucky being stashed in Wakanda before Phase 3's grand finale. If that's the case, then perhaps we'll see T'Challa face off against his former teammate, with the end result being the reanimation of Sgt. Barnes just in time to fend off the forces of Thanos. Black Panther claws the forces of evil once more on February 16th, 2018.